A reminder for you that the First Friday's Roadshow will take place in the Costa Mesa City Hall parking lot Friday, April 5th beginning at 6:00 p.m. and running until around 8:30. 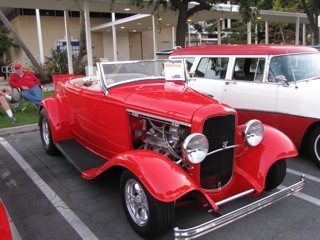 There will be many classic and not-so-classic cars there, plus a food truck to provide a little chow for you as you wander down memory lane. Thanks for those community volunteers who continue to make this event a success every month. Steve Mensinger, the busiest volunteer around along with Chuck Perry. Thanks guys. how about thank the 100's of volunteers who helped look for these two kids. It sure is pathetic you come on here and give recognition to TWO people when 100's of people gave their time to find these kids. You never cease to amaze me with your comments.